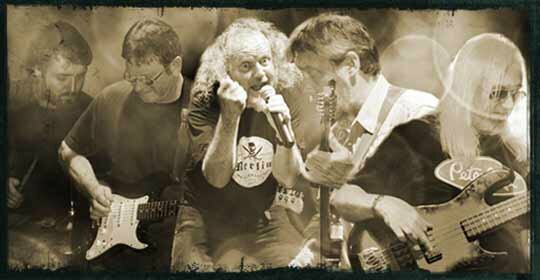 The renowned Cork based blues band Hot Guitars regularly perform in a wide variety of venues and festivals in Cork city and the Munster region. This five piece band's blues, rock style is popular with young and older audiences as they play a variety of covers ranging from The Rolling Stones, The Animals, Dylan, Muddy Waters, Clapton, Van Morrison, Spencer Davis Group, Chuck Berry, Wilson Pickett, Steely Dan, Alex Harvey, Jerry Lee Lewis and more. Their recently released CD 'Live at the Mills' captures their sound and reflects the talents of band members who have worked together for twenty years. Hot Guitars have played Guinness Cork Jazz Festival continuously for 12 years.